Welcome to 2144 Winners Circle. 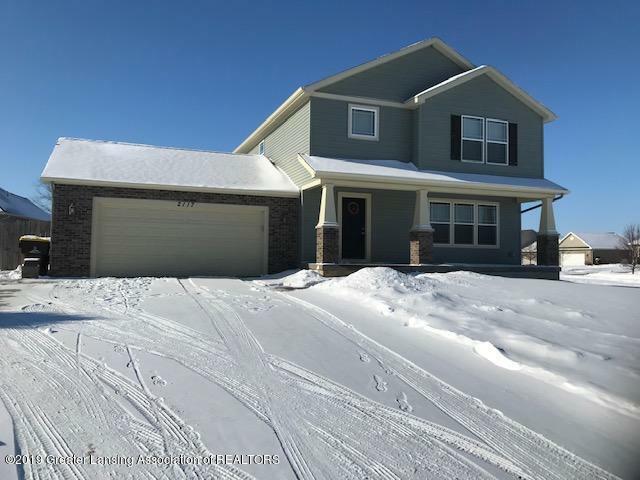 This super clean, three bedroom, two-and-a-half bath home in the Bingham Subdivision is move-in ready. The main level offers a large living room with built-in bookcases, dining area with slider to patio, beautiful kitchen with soft-closing, espresso-colored cabinets, laundry room with extra cabinets for storage, and 1/2 bath. Upper level has an extra-large master bedroom with walk-in closet and master bath, two other good-sized bedrooms, and 2nd full bathroom. Lower level has daylight windows and is stubbed for another bathroom. Other features includes a large, fenced-in backyard, large two car garage, concrete patio and front porch. Stub for bath in lower level. Washer and dryer are reserved but are negotiable.